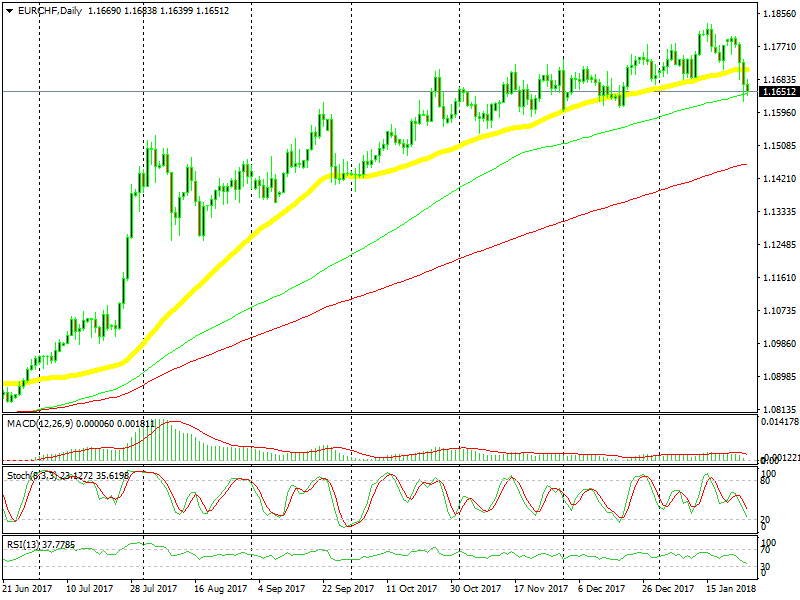 EUR/CHF has been trading in a constant uptrend ever since Macron won the general elections in France last April. 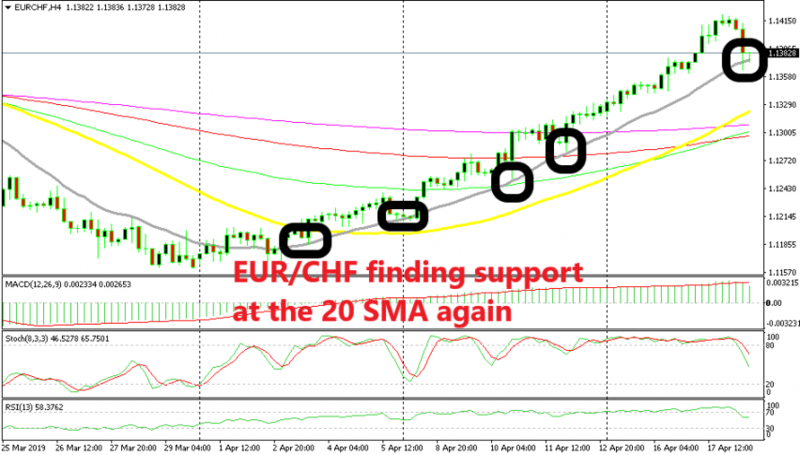 The 50 SMA (yellow) has kept the uptrend in place during this time. The price has only moved below this moving average once, last December, and it has been a very predictable trade- buy at the 50 SMA, and unload higher up. As you can see from the daily chart above, the 50 SMA has now been broken. For anyone in anticipation, this may just be the big reversal. As I mentioned yesterday, this break immediately followed the comments from the Swiss National Bank chairman Jordan, that they may intervene in EUR/CHF. The 100 SMA (green) stands just just below, and had provided support yesterday on the first attempt. The stochastic indicator is almost oversold currently, so this might as well be a retrace- in fact, it is more probable that this is a retrace. 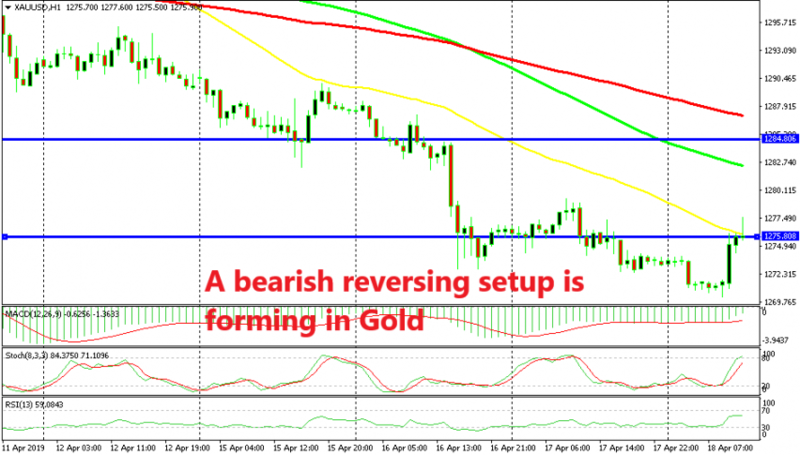 The 100 SMA may become the main indicator that now holds the uptrend in place. It is not clear, so we will give it a day or two before making a decision.